The wall units are a matte grey with a grain effect and the base units are a gloss cream. At either end we have put a eye level wine fridge and a eye level double oven to give the kitchen a symmetrical look. 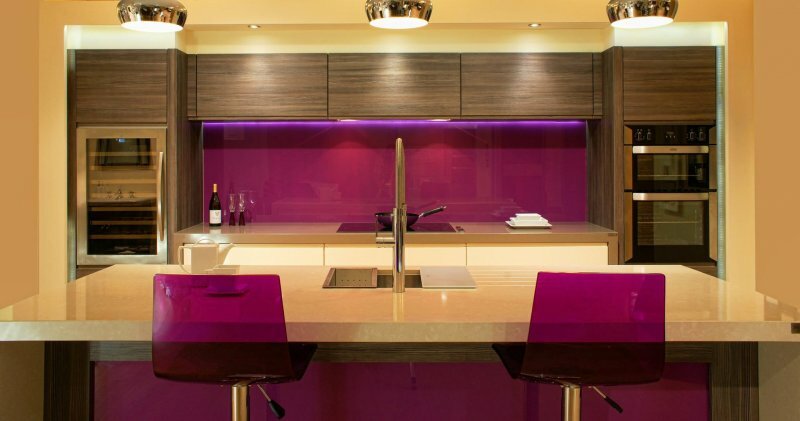 We have also added a large purple glass splashback to add some colour to the kitchen.